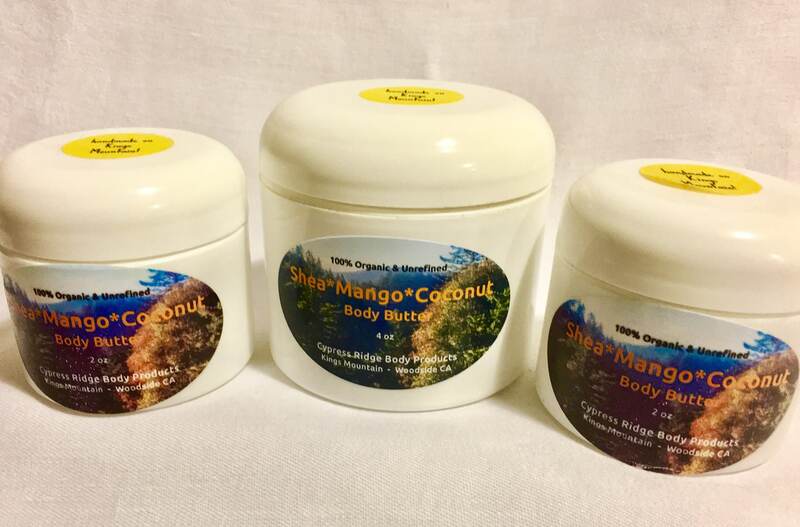 Luscious, smooth, creamy body butter made with all of the mango. Makes the skin feel like satin and gives a glow everyone smiles at when they see you! Mangoes are one of the best antioxidants the world has to offer, and also have a natural 30 spf protection to offer. Must be used in addition to your sun block, this butter helps protect your skin from the sun's harmful rays while deeply moisturizing every part of the body it touches. 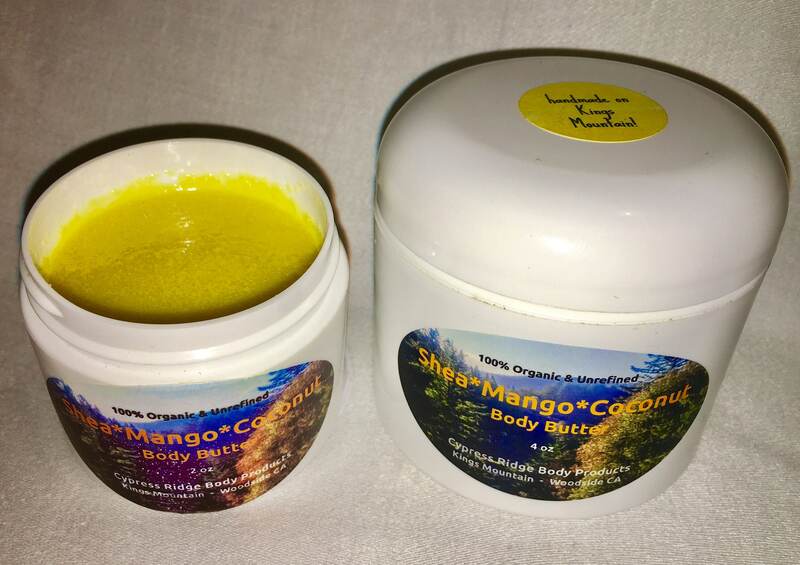 When used with our Coco Mango Sugar Scrub your skin just hums with the mangoes natural goodness. Great for overnight facial care too! Put on after getting out of the shower or bath and allow it to soak in before dressing (seems oily at first but that goes away quickly)...at least five to ten minutes. You will see a difference in your skin in just a few days. For everyone...kids, adults, men, women...anyone who wants beautiful skin!